Attico, the italian word for “penthouse”, has been launched in February 2016 by italian street-style stars-turned-designers Giorgia Tordini and Gilda Ambrosio. 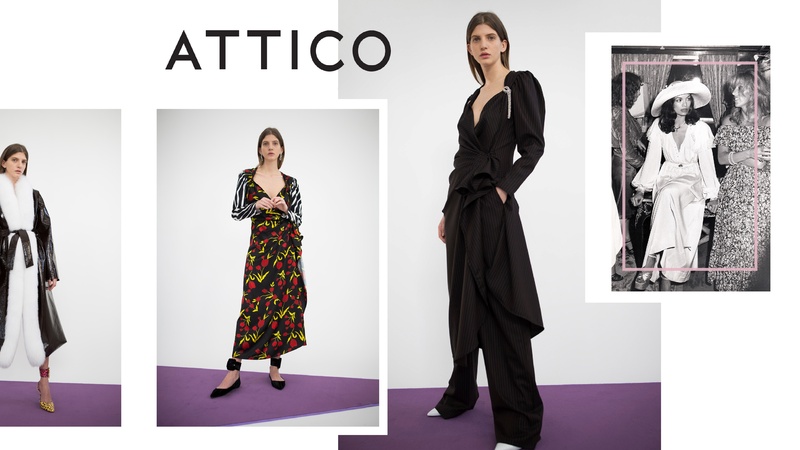 Attico collection was born from the challenge of combining two different styles to create timeless robe dresses, ones to wear and keep in the closet forever. They said they “wanted to bring robes to the street” and the result is brillant, reinventing the idea of the robe (peignoir) and taking it to the catwalks and the streets. Attico offers a great range of products : clothing, shoes, bags and accessories (anklets). Each piece of the collection embodies a woman from a different city, modern muses. Attention to details is the key, they focus a lot on embellishment, and design their own embroideries and print. Their versatile,decorative and rich “modern robes” take the lead of the collection. Styles are very feminine and embrace women’s bodies in a soft elegant way, also allowing to mix and layer different pieces. Inspiration is coming from foreign cultures, female icons from past eras,vintage shops, furniture, interiors, asian carpets..
Attico sells both online and retail stores. You can easily find The brand’s products in online fashion e-commerces such as : Net-a-porter, MyTheresa, Farfetch, MatchesFashion, Luisaviaroma and Antonioli. 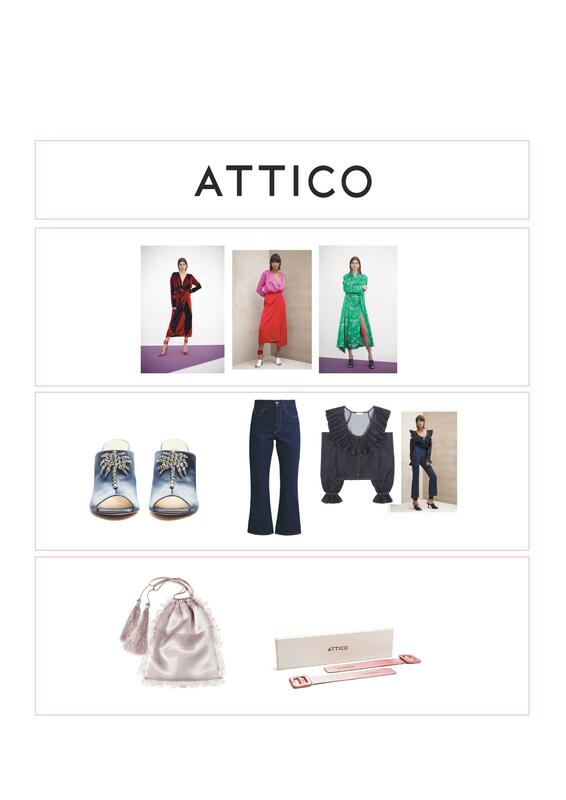 Attico is also selling products to people through retailers allocated in Italy mainly but with a growing presence in Europe, Asia and United states. There is not yet a brand e-commerce nor a flagship store of the brand itself. Attico has been empowered by social media and it’s receiveing significant feedbacks. The brand is basically born from Instagram thanks to the influence of the two designers on it so the social network is obviusly still used as the main form of promotion and communication, straight directly with the costumer. Attico Instagram account boosted immediatly till reaching 72,2k follower. Infact the brand suddenly draw the attention of famous fashion publications like Vogue, Grazia and Tatler being featured with interviews and print advertising. 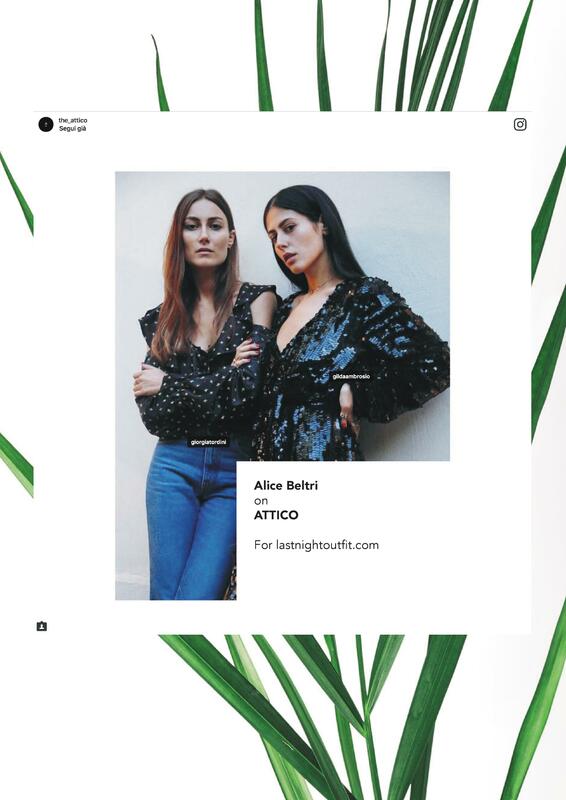 Being part of the the sector of Luxury Niche emerging fashion labels, Attico is on the rise because this brands have the ability tu furnish products that differs from the mainstream : fashion-conscious millennials LOVE THAT. Attico clients are a mix of young and older women. This modern woman meets the muses from the past, who often gave names to some of the brand’s products. They are independent, working women who maintains their social life alive discovering new cozy, sophisticated and romantic places around Europe to sip their wine in company. They like to experiment and have their own sense of individuality. Passionate about design, they love the sense of discovering small, indipendent brands that not everybody knows and support them buying a statement piece that will become the “jolly” of their closets. The brand’s clothing pieces are precious and one-of a kind, and woman in the Middle East appreciate that kind of accuracy on their garments that is sometimes lost within the fashion mass market. The core customer love to wear original italian handmade pieces, sumptuous materials pieces matched with street-style inspired looks. The brand provide a Nostalgia feeling that can be considered as one of the values proposed. Growing up as a girl in South Italy you find yourself on sundays surrounded by all the women of your family cooking in their robe dresses. 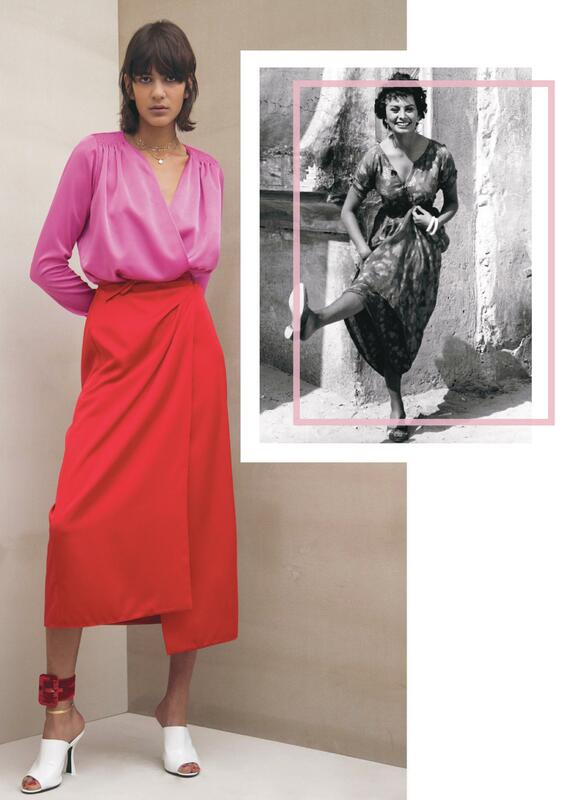 Nostalgia is coming from the association of the revisited “Peignoir” (their signature robe dress) with the homewear used by your mum and grandmother as well as all women from the past. The robe dress is easy to wear and gives a pleasant idea of comfort and familiarity moreover the consumer can effortlessy wear the robe regardless it is day or night due to its easy matching maintaining a non-indifferent style.